Authors: Kosyakova O.V., Bespalova O.N. Premature birth is one of the most important problems of modern obstetrics because it is a leading cause of childhood morbidity and mortality in all countries. Annually, > 1 million premature newborns worldwide die from various types of complications, and most of the survivors become disabled. Moreover, according to WHO analysis, most of these children can be saved by developing measures for the early identification of preterm births, which will provide additional time for effective intervention. Currently, available diagnostic methods do not adequately assess the risks of premature delivery owing to the low predictive value of the methods. This makes it necessary to search for predictors of preterm labor that can improve the accuracy of diagnostic techniques. The desired predictors should have a pathogenetic basis, and most importantly, they must contribute to the early detection of life-threatening premature births. The hormone relaxin could be considered to be a promising marker of premature birth because its role in the pathogenesis of premature birth is unquestionable, and the evaluation of its levels is possible during the early stages of pregnancy. preterm birth, prediction, biomarkers, relaxin. Howson CP, Kinney MV, McDougall L, et al. Born too soon: preterm birth matters. Reprod Health. 2013;10 Suppl 1:S1. doi: 10.1186/1742-4755-10-S1-S1. Committee on Practice Bulletins-Obstetrics TACoO, Gynecologists. Practice bulletin No 130: prediction and prevention of preterm birth. Obstet Gynecol. 2012;120(4):964-973. doi: 10.1097/AOG.0b013e3182723b1b. World Health Organization. WHO Recommendations on Inter ventions to Improve Preterm Birth Outcomes. Geneva: WHO; 2015. Gyamfi-Bannerman C, Menon R, Bonney EA, et al. Novel thoughts on preterm birth research proceedings of the 13th annual preterm birth international collaborative (PREBIC) meeting. Semin Perinatol. 2017;41(7):438-441. doi: 10.1053/j.semperi.2017.07.015. Menon R, Torloni MR, Voltolini C, et al. Biomarkers of spontaneous preterm birth: an overview of the literature in the last four decades. Reprod Sci. 2011;18(11):1046-1070. doi: 10.1177/1933719111415548. Stone ML, Sedlis A, Zuckerman M. Relaxin — a critical evaluation. Am J Obstet Gynecol. 1958;76(3):544-552. doi: 10.1016/0002-9378(58)90069-3. Bathgate RA, Halls ML, van der Westhuizen ET, et al. Relaxin family peptides and their receptors. Physiol Rev. 2013;93(1):405-480. doi: 10.1152/physrev.00001.2012. Hayes ES. Biology of primate relaxin: a paracrine signal in early pregnancy? Reprod Biol Endocrinol. 2004;2:36. doi: 10.1186/1477-7827-2-36. Halls ML, Bathgate RA, Sutton SW, et al. International Union of Basic and Clinical Pharmacology. XCV. Recent advances in the understanding of the pharmacology and biological roles of relaxin family peptide receptors 1-4, the receptors for relaxin family peptides. Pharmacol Rev.2015;67(2):389-440. doi: 10.1124/pr.114.009472. Weiss G, Goldsmith LT. Mechanisms of relaxin-mediated premature birth. Ann N Y Acad Sci. 2005;1041:345-350. doi: 10.1196/annals.1282.055. Bryant-Greenwood GD, Yamamoto SY, Lowndes KM, et al. Human decidual relaxin and preterm birth. Ann N Y Acad Sci. 2005;1041:338-344. doi: 10.1196/annals.1282.054. Vrachnis N, Grigoriadis C, Siristatidis C, et al. The Janus face of maternal serum relaxin: a facilitator of birth, might it also induce preterm birth? J Matern Fetal Neonatal Med. 2015;28(18):2187-2191. doi: 10.3109/14767058.2014.981804. Bell RJ, Sutton B, Eddie LW, et al. Relaxin levels in antenatal patients following in vitro fertilization. Fertil Steril. 1989;52(1):85-87. doi: 10.1016/S0015-0282(16)60794-X. Iams JD, Goldsmith LT, Weiss G. The preterm prediction study: maternal serum relaxin, sonographic cervical length, and spontaneous preterm birth in twins. J Soc Gynecol Investig. 2001;8(1):39-42. doi: 10.1177/107155760100800107. Bain E, Heatley E, Hsu K, Crowther CA. Relaxin for preventing preterm birth. Cochrane Database Syst Rev. 2013;(8):CD010073. doi: 10.1002/14651858.CD010073.pub2. Kuznetsova L, Plesneva S, Derjabina N, et al. On the mechanism of relaxin action: the involvement of adenylyl cyclase signalling system. Regul Pept. 1999;80(1-2):33-39. doi: 10.1016/S0167-0115(99)00007-5. Konopka JA, DeBaun MR, Chang W, Dragoo JL. The Intracellular Effect of Relaxin on Female Anterior Cruciate Ligament Cells. Am J Sports Med. 2016;44(9):2384-2392. doi: 10.1177/0363546516646374. O’Byrne EM, Carriere BT, Sorensen L, et al. Plasma immu noreactive relaxin levels in pregnant and nonpregnant women. J Clin Endocrinol Metab. 1978;47(5):1106-1110. doi: 10.1210/jcem-47-5-1106. Hisaw FL, Zarrow MX. The physiology of relaxin. Vitam Horm. 1950;8:151-178. doi: 10.1016/S0083-6729(08)60670-6. MacLennan AH, Nicolson R, Green RC. Serum relaxin in pregnancy. Lancet. 1986;2(8501):241-243. doi: 10.1016/S0140-6736(86)92068-4. Goldsmith LT, Weiss G. Relaxin in human pregnancy. Ann N Y Acad Sci. 2009;1160:130-135. doi: 10.1111/j.1749-6632.2008.03800.x. Rocha FG, Slavin TP, Li D, et al. Genetic associations of relaxin: preterm birth and premature rupture of fetal membranes. Am J Obstet Gynecol. 2013;209(3):258.e1-8. doi: 10.1016/j.ajog.2013.05.020. Bell RJ, Eddie LW, Lester AR, et al. Antenatal serum levels of relaxin in patients having preterm labour. Br J Obstet Gynaecol. 1988;95(12):1264-1267. doi: 10.1111/j.1471-0528.1988.tb06816.x. 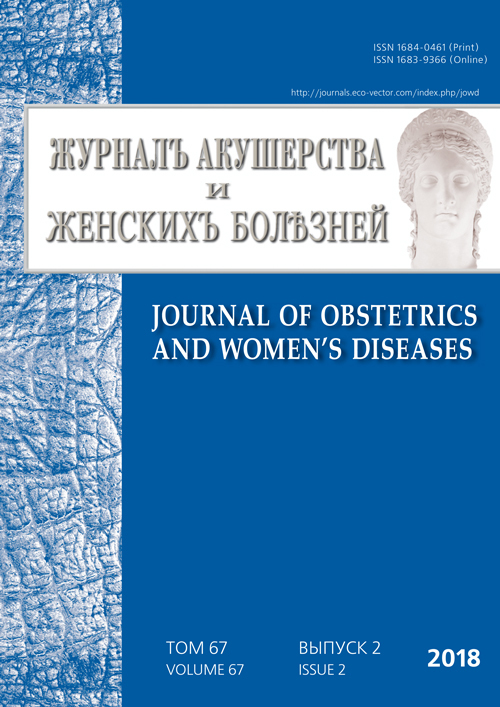 Petersen LK, Skajaa K, Uldbjerg N. Serum relaxin as a potential marker for preterm labour. Br J Obstet Gynaecol. 1992;99(4):292-295. doi: 10.1111/j.1471-0528.1992.tb13725.x. Vogel I, Salvig JD, Secher NJ, Uldbjerg N. Association between raised serum relaxin levels during the eighteenth gestational week and very preterm delivery. Am J Obstet Gynecol. 2001;184(3):390-393. doi: 10.1067/mob.2001.109395. Vogel I, Goepfert AR, Moller HJ, et al. Early mid-trimester serum relaxin, soluble CD163, and cervical length in women at high risk for preterm delivery. Am J Obstet Gynecol. 2006;195(1):208-214. doi: 10.1016/j.ajog.2005.12.009. European IVFmC, European Society of Human R, Embryology, et al. Assisted reproductive technology in Europe, 2013: results generated from European registers by ESHRE. Hum Reprod. 2017;32(10):1957-1973. doi: 10.1093/humrep/dex264. Vogel I, Glavind-Kristensen M, Thorsen P, et al. S-relaxin as a predictor of preterm delivery in women with symptoms of preterm labour. BJOG. 2002;109(9):977-982. doi: 10.1111/j.1471-0528.2002.01187.x. Vogel I, Thorsen P, Hundborg HH, Uldbjerg N. Prediction of preterm delivery using changes in serum relaxin in low risk pregnancies. Eur J Obstet Gynecol Reprod Biol. 2006;128(1-2):113-118. doi: 10.1016/j.ejogrb.2005.11.002. Platek D, Chazotte C, Girz B, et al. Elevated relaxin levels may predict preterm delivery in spontaneous twin gestations. Am J Obstet Gynecol. 1997;176(suppl.):S54. doi: 10.1016/S0002-9378(97)80227-X. Conde-Agudelo A, Romero R. Prediction of preterm birth in twin gestations using biophysical and biochemical tests. Am J Obstet Gynecol. 2014;211(6):583-595. doi: 10.1016/j.ajog.2014.07.047. Granese R, Mantegna S, Mondello S, et al. Preterm birth: incidence, risk factors and second trimester cervical length in a single center population. A two-year retrospective study. Eur Rev Med Pharmacol Sci. 2017;21(19):4270-4277. Sandager P, Uldbjerg N, Henriksen TB, et al. Circulating relaxin and cervical length in midpregnancy are independently associated with spontaneous preterm birth. Am J Obstet Gynecol. 2009;201(2):169.e1-6. doi: 10.1016/j.ajog.2009.03.030. Vogel I, Hollegaard MV, Hougaard DM, et al. Polymorphisms in the promoter region of relaxin-2 and preterm birth: involvement of relaxin in the etiology of preterm birth. In Vivo. 2009;23(6):1005-1009. Copyright (c) 2018 Kosyakova O.V., Bespalova O.N.